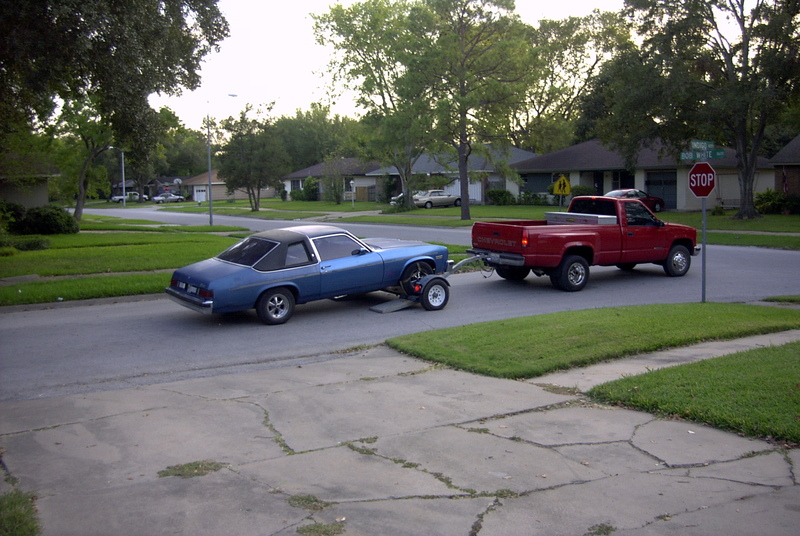 My faithful car of 18 years, a 1976 Oldsmobile Omega, was driven onto the trailer. My father bought this car for me while I was in college in 1983 for $2700. I sold it for $500. Thus begins it's new life as an oval dirt track racer.